Introducing the new AWS Database Ready Program, enabling software vendors to modernize their software to support Amazon Aurora. Customers are asking for cloud-native applications that take advantage of Amazon Aurora’s performance, availability and the simplicity of open source, but without the expense of commercial database licenses. AWS Database Ready allows customers to accelerate their cloud migration with applications that run on natively on AWS database services. Why become an AWS Database Ready Partner? Surfaced in the AWS Partner Solutions Finder as “AWS Database Ready” to AWS Customers. Product logo featured on AWS Aurora and Amazon RDS Product Pages. Eligible to be featured on the APN Blog and here, on the AWS Database Blog. AWS service credits available for development and customer trials for your product on AWS database services. 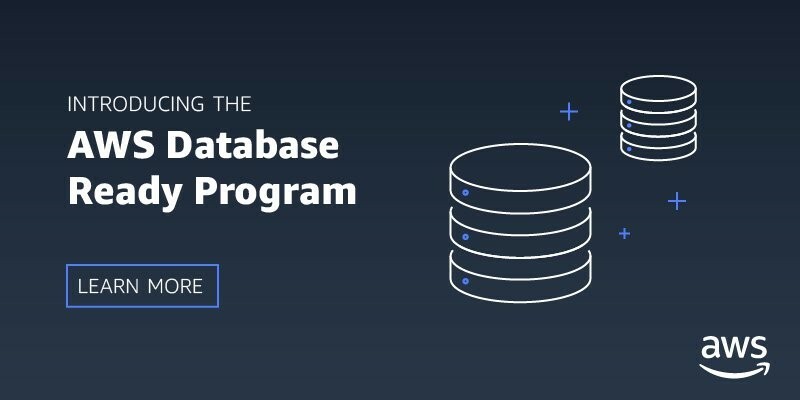 For more information on the AWS Database Ready program, or to tell us about your product that already supports Amazon Aurora, fill out the application form below to get started. Once we receive your application, a member of the Database partner team will be in touch with next steps.